Cats claw is also known as una de gato, vilacora, and uncaria tomentosa and uncaria guianensis. Uncaria is native to the rainforest of the Amazon; it also grows in other tropical areas in Central and South America. The use of this Uncaria dates back to Inca civilization. 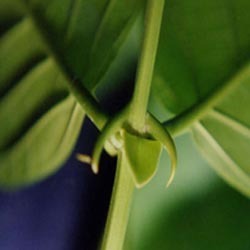 It is used to treat HIV infection and for cancer treatment. The native peoples of Central and South America have used tomentosa for two thousand years or more. The Ashaninka tribe in Peru, use vilacora as a health tonic and for treating rheumatic disorders, diabetes, acne, diseases that occur in the urinary tract and cancer. Uncaria has been employed promote kidney health, for immune system support as well as preventing and aborting pregnancy. The internal bark of uncaria is used to create teas, capsules, and liquid extracts. Preparations of uncaria may also be applied on to the skin. A scholarly literature review on uncaria in 2005 indicates there is some supporting evidence towards cancer treatment, vascular conditions, inflammation, vascular conditions and viral infections. Some small human studies have shown a potential benefit of uncaria in rheumatoid and osteoarthritis arthritis, but large trials have not been done. In lab studies, uncaria has been shown to partially stimulate the immune system. That said there is no scientific evidence that shows it boosts the immune system or reduces inflammation. The National Institute on Aging is studying the way uncaria affects the brain. The findings might point to fresh avenues of research in Alzheimer's treatment. Overall much more scientific research needs to be done. Uncaria has few side effects when taken at normal dosages. Rare, side effects might include dizziness, vomiting, and headaches. Pregnant women or women who are trying to be pregnant should avoid the use of uncaria because of its historical use for aborting and preventing pregnancy.